Oryx GTL will host its sixth annual ceremony on 30 April at Hamad bin Khalifa University (HBKU) to honour the winners of the 2019 Student Awards for the Advancement of Post Graduate Education in Qatar. The awards will acknowledge two Masters and two PhD students and will highlight the importance of building a larger and stronger post-graduate community of energy specialists in Qatar. 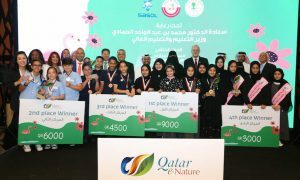 The winners will become ambassadors of post graduate education and participate in seminars throughout the academic year at universities in Qatar, also organised by Oryx GTL. The student seminars are aimed at enhancing dialogue between students, academic institutions and industry to help better define what programmes and subsequent career opportunities are most beneficial for post-graduate students in Qatar and beyond. Education is the first and most vital step in creating a knowledge-based economy, according to Mohamed Al Enazi, Chief Administration Officer at Oryx GTL. He said they are proud to celebrate the significant talent in the community of Masters and PhD students with these awards. In a survey with energy stakeholders conducted as part of the Qatar Student Awards initiative, 57% were of the opinion that more exposure to industry through internships, career fairs and vocational training, would enable academia to bridge the skills gap in the sector. Meanwhile, 14% said that better alignment of academic syllabi directly with the industry’s needs would ensure that skills were more relevant and 29% felt that having academics with prior industry experience would help in this endeavour. The Call for Nominations were opened in November 2018 and thereafter submitted to a distinguished Selection Committee which includes representatives from Texas A&M University at Qatar, HBKU and Qatar University, together with representatives from Qatar National Research Fund and Oryx GTL. 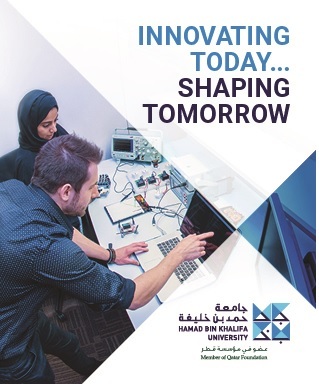 The criteria are set to attract high quality candidates and include a requirement for the student to demonstrate how their research supports Qatar’s national goal towards becoming a knowledge economy and centre for R&D. Qatar hosts more tier-one US universities than any other country in the MENA region. It has also invested heavily in developing its R&D capabilities by adding advanced study programmes to local universities, and with the opening of Qatar Science & Technology Park and Qatar National Research Strategy. Qatar Foundation launched its first PhD programme in Energy Sciences in 2013 at HBKU. For updates and more information about the 2019 Student Awards for the Advancement of Post Graduate Education in Qatar, follow @QStudentAwards on Twitter.